I’m going to start this week’s Big Personality with a bit of a loud call. I would say that of all the things that unite the people of a city – football, landmarks, teenage hangouts – Perth has Scotland’s best. You only have to mention two little words and you will find smiles raised on faces, tales of cured hangovers and nostalgic thoughts of perfect middsers. You will hear how amazing they are on a roll, hot with beans, cold out the poke… Just the mention of these two little words is enough to hold the attention of wee kids, grown men and ladies who lunch. People, I’m talking of course, about Murrays Pies. 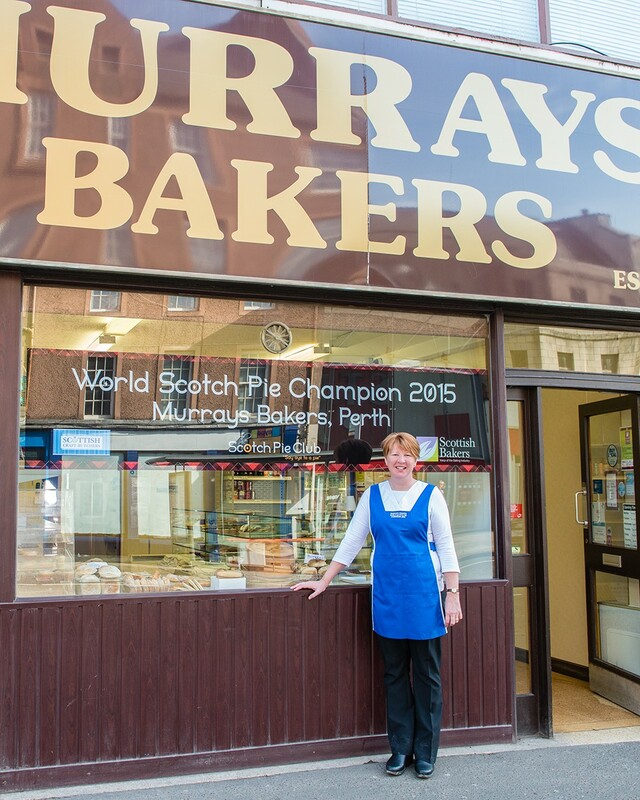 Murrays The Bakers has been part of the fabric of Perth for 117 years and leading the charge today is our favourite girl next door, Linda Hill. Linda is the fourth generation to hold the mantle of this epic Perth institution and for those who don’t know her, you might think a woman who has been destined to carry a legacy such as Murrays might have a touch of the ‘Big I Ams’. However, no such description could ever be levelled at Linda Hill. Instead you will find a beautifully down-to-earth woman, a woman like you and me, who has spent her life in Perth, who works hard, loves her kids and is thankful every day for the life she has been blessed with. 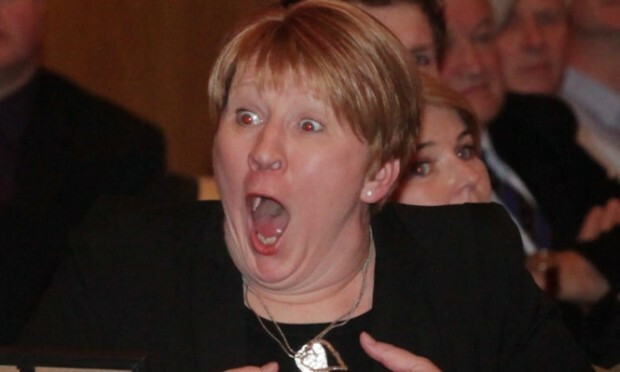 You are as likely to find her at a ska night in the Tulloch Institute as you are to hear about her taking a place on the board of the Scottish Bakers. When I asked her to do this, she told me hers was too ordinary a life. Scratch that ‘ordinary’ surface just a bit though, and you will find a women who has not only embraced the decades of work her Dad, Granny and Great Grandad put in, but one who has evolved to become a whip-smart business woman with a tenacious work ethic, fierce loyalty to the people of Perth and an unmovable love and respect for her long-serving team. Prepare to fall in a love just a little more with the wifie behind the pies. Linda tells me that earliest record they can find of Murrays is an advert for their bakery and tearoom in County Place. Dated 1901 it was opened by her Great Grandad Murray who undoubtedly had no idea the legacy he was about to create. 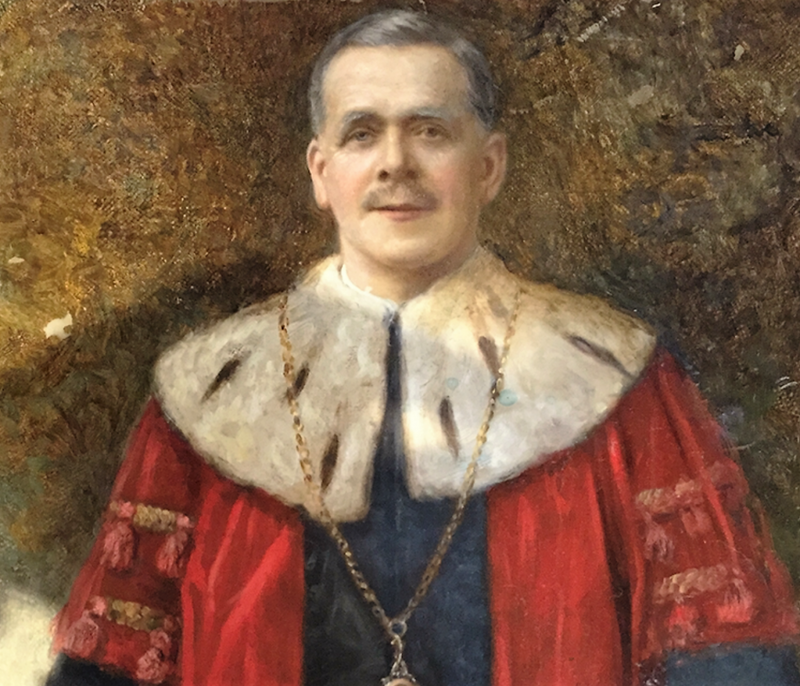 He had two sons and two daughters, one of whom was Linda’s granny and in an unlikely turn of events for a woman of that generation, it was Granny who took over running the tea room and shop while her brother, John Murray, was in the bakery. Uncle John died the year Murray’s moved into the city centre but by this time Linda’s Dad and his cousin were involved more in the business and were a big part of the new shop and its window on South Street packed full of pies, cakes and sweet treats. Many of you will remember, I’m sure, Murray’s home on the opposite side of the street, pre- St John’s Shopping Centre. It was a two storey bakers, split over what is now Drovers Butchers and the Dunfermline Building Society. “The bakers would hand wires piled high with pies, cakes and biscuits through the wee lane to be stacked into the windows and cake cabinets. It was magical. My dad would be up in the middle of the night, baking all the pies and cakes, then it was back home for a sleep, up for lunch and back down to till up. I would be with him, spreading notes across the tables and playing shops with real money while he counted. I was about 10 or 11 and I’d go round the empty tables, pretending to take orders in the actual Murrays Tearoom. I had no idea as a child how much Murrays meant to the people of Perth. It felt ordinary to me; it was just my Dad and Granny’s work. The only real impact on us was at home; my dad had to go to bed so early so we weren’t allowed to make any noise! He worked week about with Jackie Finlayson, so he was up at 2am one week and then 5am the next. Even when he stopped working he still got up at the crack of dawn, it never left him. The other thing I remember vividly that I now know wasn’t ‘normal life’, was that he brought the cash home. All the week’s money would be counted out on our kitchen table on a Sunday ready for banking on a Monday morning. The boy from the bank would pick up the money on his way into work and get a couple of pies for his trouble – I’m not entirely sure his boss would have known that mind you! “The exact opposite in fact! When I read Beaton’s and Linda Chan’s stories I knew exactly what they were talking about. Murrays has always been a place where people came to work and never left – everyone was family so there was nothing special about being ‘the boss’s daughter’. My Dad, uncle, and cousins were all there but there were also amazing men who spent their entire working lives with us. Jackie Finlayson was with us 50 years when he retired and Jimmy Gellatly retired and then still came in on Saturdays… I think he was into his nineties before that stopped! 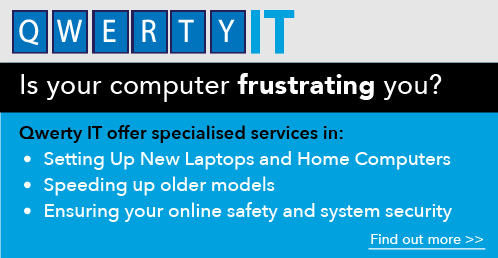 Even nowadays Charlie will come back to help me out when I’m busy – and he’s been with us for over forty years. Linda left school at 17, with a stack of Higher results and a thought that she might go to uni. She was unsure what direction to take so applied for a job at Ellerman’s Travel Agents in Scott Street and worked there for 8 months, leaving the safe, warm environment of her beloved Murrays behind. She was then offered a job in the bank at York Place and although it was a great career track, she become bored after only three years. Of course, being a bold young women of twenty, she decided it was time to move on and packed it in before she had really decided what it was she should do. “I applied to do office work at the GA and at Bells but at the same time my Auntie Margaret, who was my granny’s best friend, took not well with emphysema. She had worked with us for 45 years and my Dad was desperate to find someone. ‘Do you fancy it? Maybe 6 months to help out?’ is what he said. Anyway, twenty eight years later here I am! I think maybe fate had played a hand though, because it was just three years later that Dad had a heart attack. 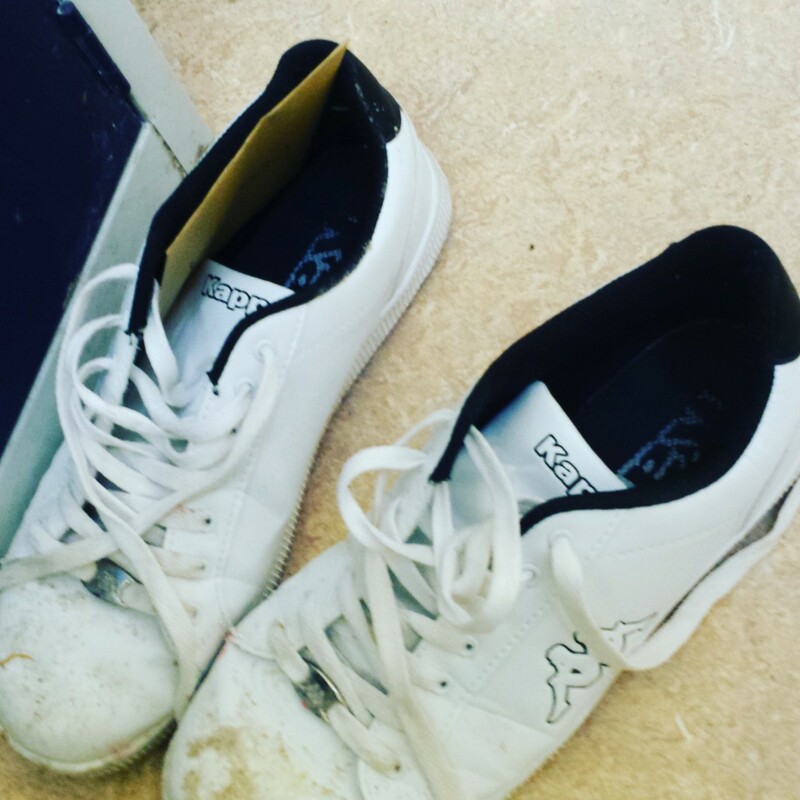 If I hadn’t taken that offer of six months work, I’d never have learned enough to step in. I was meant to be here. I know I was. Throughout our chat Linda is quite matter of fact about these details. There is no sense of regret or ‘poor me’ about any of it. She talks about her Dad with a fondness and love that you can almost reach over the table and touch. Theirs was a relationship that surpassed the normal ‘father daughter’ life cycle where girls grow up, leave home, borrow money and then take the grandkids round. Sitting in Murrays back room, cuppa and pineapple cake in hand, Linda unravels a tale that brings this great man to life once more. I listen in, certain that it is entirely possible that as the pair slipped into their new roles of Dad and Daughter business partners, the distinction between where one started and the other stopped became as blurred as the beating arm of a baker stirring cake mix. 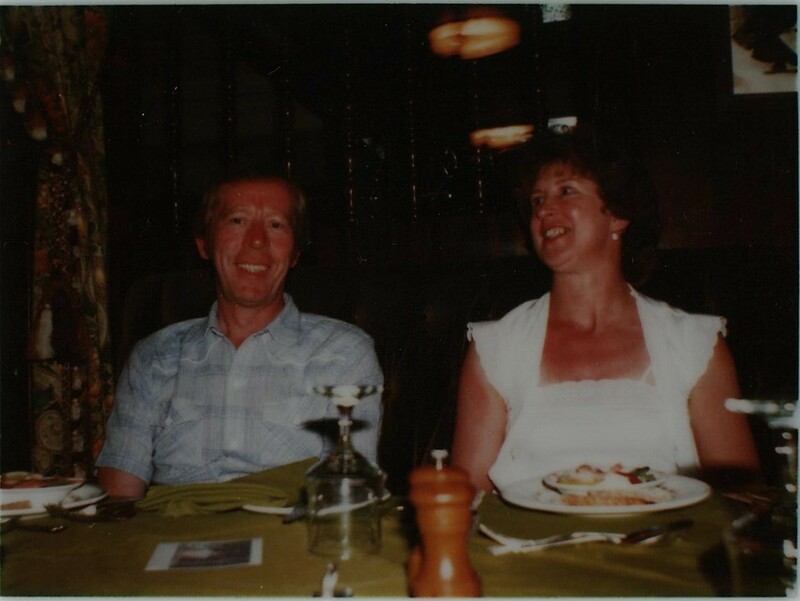 Murrays was theirs, and, her father's daughter through and through, Linda gratefully accepted her legacy, proud to be learning from the man who had given her everything she had come to know and love. Now, we need a wee bit of a rewind button because before this happened Linda had already been through another of her life’s big milestones. Among the regulars who would appear every day, was a guy called Steve. Two pies and two vanilla slices if you’d like the details. Cut to Linda bumping into him in Currys while being treated to a hifi for her twenty first from her mum and dad. The next day Steve came into the shop and asked her if she’d like to go out. Bold boy that he was, on her 21st Birthday he took her to the Café Noir (cue waves of nostalgia in everyone over forty!) for their very first date. “He didn’t know I was connected to Murrays, just that I worked there. We were married the four and half years later in the Perth Fortnight because it was the only time I was allowed off! We went to Bermuda, got married and then came back and told everyone. Two years later along came Christopher; I had him on a cold Sunday in March 1995 and by the following Thursday I was sitting with my brand new baby doing the wages. I was back to work proper after eight weeks. Dionne is five years younger than Christopher so she’ll be sixteen this year. We did think about another baby but it was so busy in the shop and every time we talked about it someone else would tell me they were pregnant so we stopped at two! Like any small business owner, the shop became her life. The first bakers were in at 1am and so anyone phoning in sick was calling her up at 10pm and she’d start on the calls to find a replacement for the shift. She tells me that at that time, she could sleep anywhere if she had to! Steve was working for the fire service at the time, doing two days and two nights and so the pair managed their family time with him picking up more of the home stuff. Somehow it worked, and their hectic lives fitted in a marriage, Murrays and kids. “I don’t know how we did it sometimes. We just did. Things only changed when we went forward for Britain’s Best Bakery. I really wanted to do it - I baked at home all the time when I was off (I raise my brows – yeah, really! She laughs) and I had new ideas that I had started to feel confident about bringing forward. To enter though, I was going to have to leave the shop and that’s when I realised I could do things differently. It was tough on the staff at first but I think we all enjoyed the experience and it made us smarter about how we did things. My Dad never really liked to get involved in the bigger picture, he was happy in Murrays in Perth but after our success on Britain’s Best Bakery I started to get more involved in the industry. We’d always been members of the Scottish Association of Master Bakers but I made a point of going to the regional meetings and I included Murrays in things I never would have dared do before. 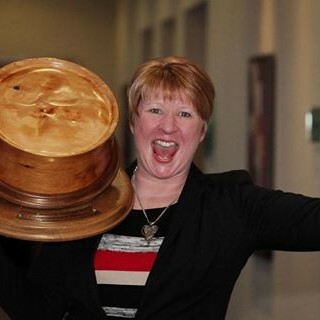 Linda is now Vice President at Scottish Bakers since May 2018, and will take over as President in May 2020. 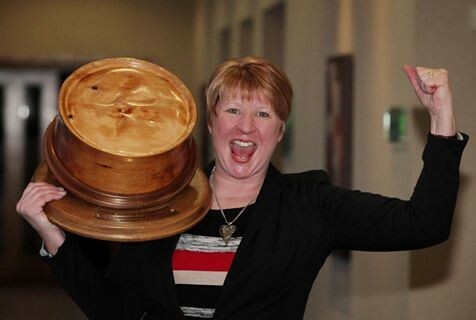 In January 2015 Murray’s Pies almost trumped Saint’s Scottish Cup win by bringing home the title of World Scotch Pie Champion. The place went wild! The win is without doubt her biggest achievement at the time and she describes the frenzy and year that followed as a whirlwind. Since then, Murray's have won Scottish craft baker of the year 2017/18. There was a tinge of sadness though, as it came just one year too late for her dad to see. “He was the one person I wanted to tell – I just wanted to let him know he’d done it. When we entered that year it was most definitely for him and it made the win even more special…. Mind you, he’d been chuffed to bits the year we won for the sausage rolls so he’d a few good moments himself! And of course, he’d been involved in Britain’s Best Bakery which was brilliant. They called us up out of the blue and asked if we’d do it. Colin, my head baker, was all over it. ‘Let’s Do It’ he said. Anyhow, it was decided me and Colin would go forward and they came round to test us and decide if we were right for it. 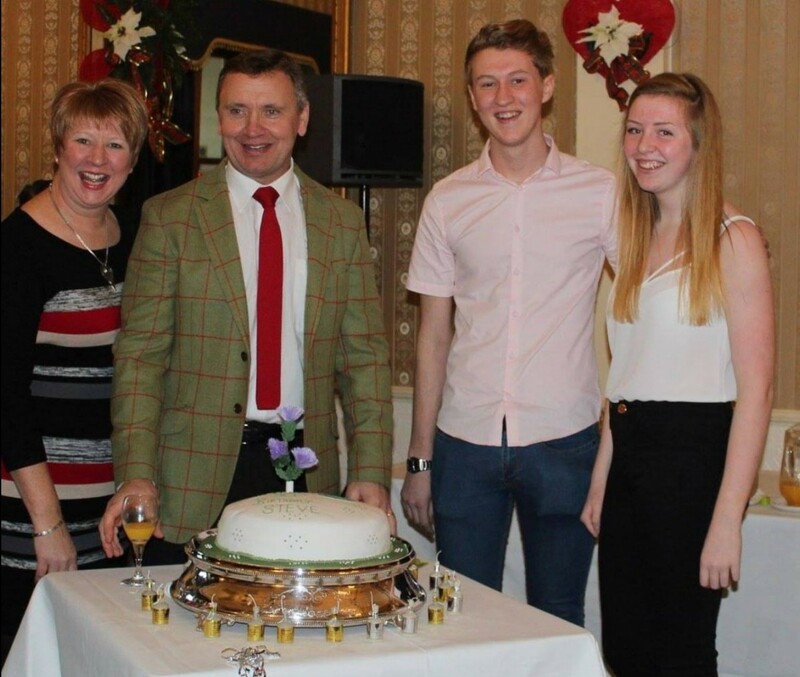 We had to do something we made here – pineapple cake was the obvious choice! – and also something new. We talk about the fact that her Granny, Dad and Shop hold such a special place in the hearts of the people of Perth and she admits that now, at the age of 51, she gets it. She understands what their business means to all of us and is passionate in her statement that every time Murrays wins an award, it’s a win for the entire city. “The older guys have all retired but there are still hundreds of years of experience in Murrays. Mike has been with us 28 years and Roddy has been here 21. 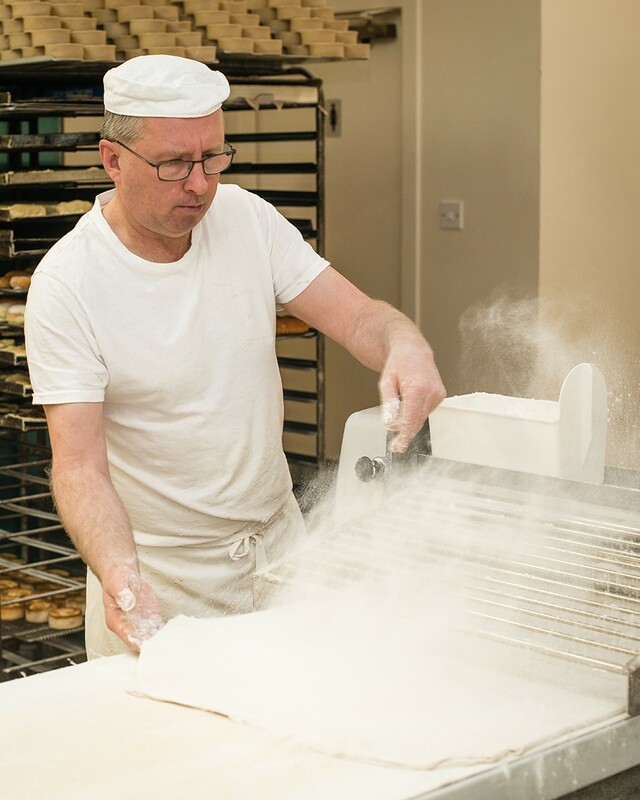 The image of a craft baker, where everything is made from scratch and by hand is one we’re all proud of. When the Great British Bake Off was at Scone Palace in its first year, they thought we were amazing. We had this pastry brake that looked like a big mangle, pulling the pastry back and forth – they couldn’t believe it. In fact if you find that first Bake Off book we’re in it. Pages of Murrays images burned down in history at last. Her own kids are far more aware of what their Mum does than she ever was at their age – thanks Facebook! – but both are carving out their own lives. "Christopher is in London, working and enjoying life and Dionne is at uni studying physiotherapy. They know what we have, and they are grateful for it but I’d never force them to stay and take over. Christopher had done a few Murrays shifts before he headed off though and Dionne used to do two nights a week after school. I remember folk thought I was just a lassie behind the counter, unaware that I was learning the ropes from my Dad. Some still do! I’m happy with that though; Murrays has never been about my family, it’s always been about the customers. The ones who do know me keep asking if I’ve retired because I’m so rarely on the shop floor now. 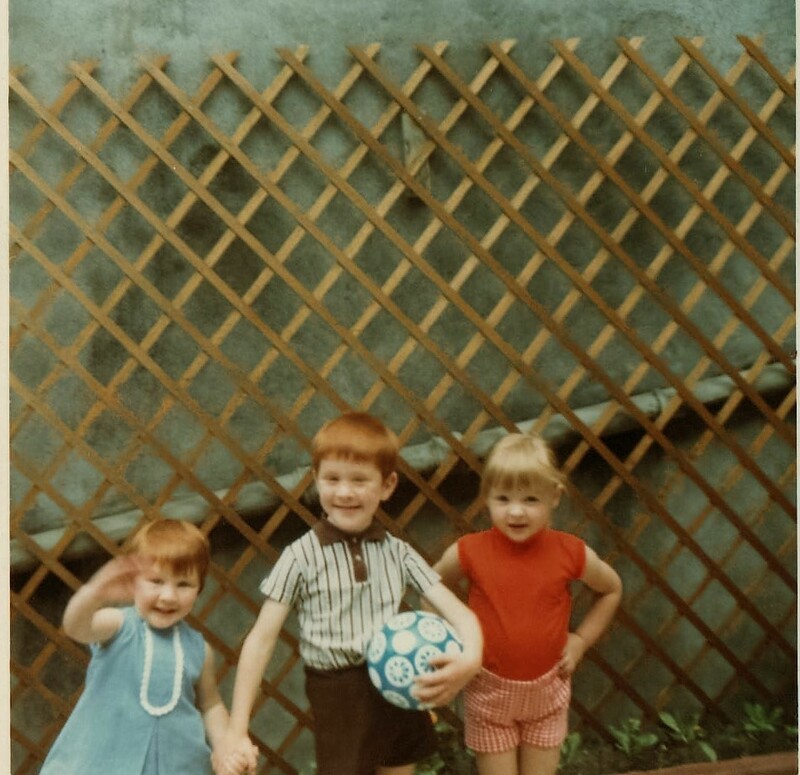 I do miss that sometimes – the chatting and the blether is all part of the fun. We’ve had the same customers for years and years and they like the same things. I’ve one old lady who comes in for two pancakes every day and for me, that’s what Murrays is all about. We do old fashioned cakes and we do them well. Baked fresh and made with care; I’d never change that. I’d get lynched for a start! At a time when city centres are struggling and independent business is challenged by internet shopping and out of town retail parks, it is heart-warming to hear that Linda’s belief and hard work continues to pay off. She’s had her challenges mind you; Greggs opened up across the road but as anyone with social media will know, the people of Perth rallied round their beloved Murrays, fierce in their backlash of the interloper! “It works because we all care. It is fresh every day. Our first baker starts at 1am and the last one finish at 2.30pm. That’s 13 hours of baking to bring our customers all their heart desires! I do a bit less now mind you. My Dad’s health deteriorated so quickly at the end; he’d worked so hard and never got to enjoy any of his plans for retirement. It makes you look at things differently. I’m still busy with work but it’s a different type of busy. 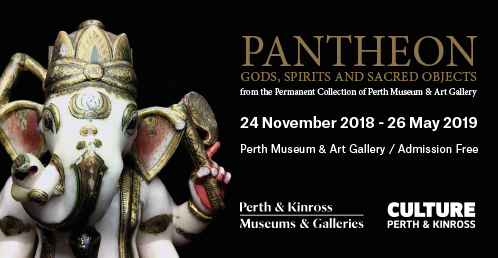 I’ve even booked a holiday outwith the Perth fortnight! I like to read, I walk the dogs. We’ve been married 25 years this year and Steve and I still love to get a night out with some live music. I go the gym because I have to and I love to escape our bakery and go for a coffee and scone to someone elses! She is smiling her big honest smile at me, pushing another pineapple cake in my direction. Linda is everything a woman with a cake shop should be. Warm, infectious and with a nature that draws you in and makes you want to be her pal. She fits her shop, like hand in glove. “Sometimes I look back and I think what would I have done without this? Who would I have been? I think deep down I knew when I agreed to help while Auntie Margaret was off, I’d never be able to step away. It’s not a job, you have to want it warts and all. You know my Granny moved her house with the business? She lived above every shop she worked in – she moved from across the road to above this shop now because she liked to watch things like a hawk. 94 years old and up and down the stairs she’d go – unless of course she was buzzing down and asking me to take up pies and cakes for her visitors! She pauses a wee bit. Of course, after being fed pineapple cakes and cups of tea I left with pies, fern cakes and their new Eccles cake and swung my wee white bag all the way home, proud to live in a city where stories like Linda’s are possible and people like you and me hold our local pie shop so near and close to our hearts. 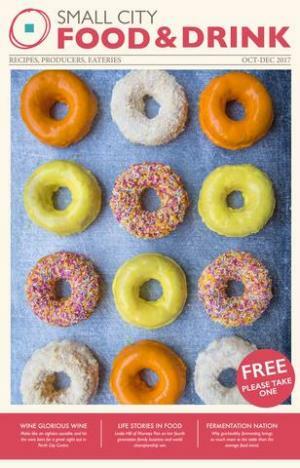 For full contact details check out Murrays The Bakers on Small City Indies Directory. 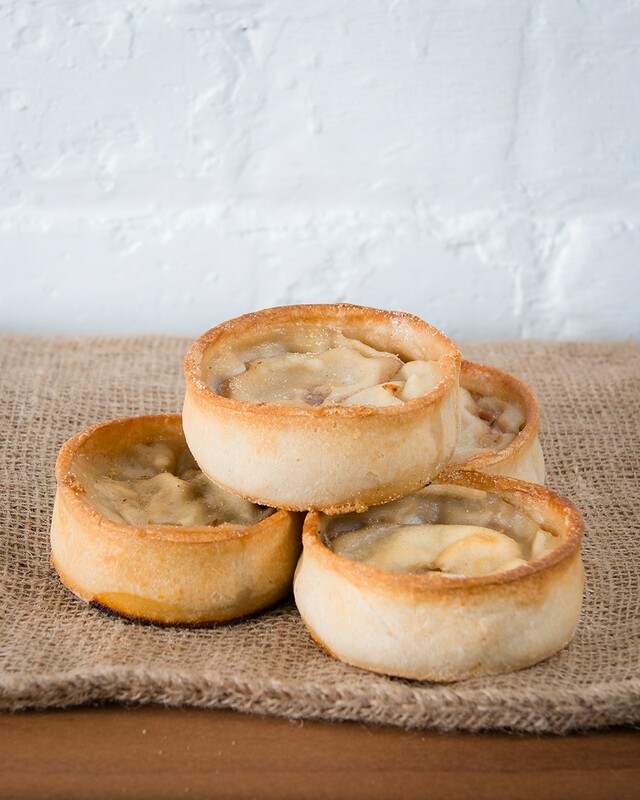 To make your mouth water like the Tay, check out the Murrays The Baker Small City Gallery!